A topographic map of the moon, centered on the Apollo 15 landing site, highlighting the Apennine and Caucasus ranges and the fairly subtle wrinkling in Serenitatis. The false colors indicate elevation: red areas are highest and blue lowest. The map was created by NASA’s Lunar Reconnaissance Orbiter. A NASA lunar probe's meticulous observations are allowing scientists to create the most precise and complete map of the moon's surface to date, researchers said. In its first year or so of operation, NASA's Lunar Reconnaissance Orbiter (LRO) spacecraft beamed about 3 billion data points back to Earth, researchers said. And it's not done yet. "This dataset is being used to make digital elevation and terrain maps that will be a fundamental reference for future scientific and human exploration missions to the moon," Gregory Neumann, of NASA's Goddard Space Flight Center in Greenbelt, Md., said in a statement. "We expect to continue to make measurements at this rate through the next two years of the science phase of the mission and beyond." The Lunar Reconnaissance Orbiter is mapping the lunar surface with an instrument called the Lunar Orbiter Laser Altimeter (LOLA). The device works by sending a single laser pulse through a diffractive optical element that splits it into five beams. These five beams then strike the lunar surface and bounce back. The return pulse is picked up by LOLA, which provides a precise measurement of the distance from the spacecraft to the moon's surface. Scientists use these range measurements, combined with accurate tracking of the spacecraft's location, to build maps of the lunar landscape. For example, the nearly 3 billion range measurements made so far by LRO compare with about 8 million to 9 million each from three recent international lunar missions, according to Neumann. These other missions were limited to a mile (1.6 kilometers) or so between data points, whereas LRO's measurements are spaced just 187 feet (57 meters) apart. "Recent papers have clarified some aspects of lunar processes based solely on the more precise topography provided by the new LOLA maps, such as lunar crater density and resurfacing by impacts, or the formation of multi-ring basins," Neumann said. LRO's observations also are helping researchers understand and define past and present illumination environments on the moon, researchers said. This information is important for discovering areas that have been shaded for long periods. 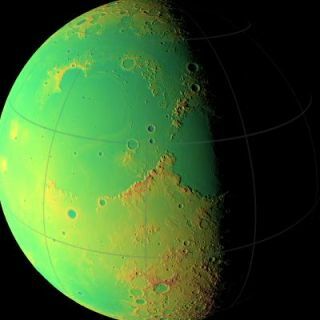 Such places, typically in deep craters near the lunar poles, act like cold storage, and are capable of trapping and accumulating volatile materials like water ice. The landscape in polar craters is mysterious because their depths are often in shadow. The new LOLA dataset is illuminating details of their topography for the first time, researchers said. "Until LRO and the recent Japanese Kaguya mission, we had no idea of what the extremes of polar crater slopes were," Neumann said. "These measurements are helping the LRO science team model the thermal environment of these craters, and team members are developing temperature maps of them." NASA launched the $504 million LRO probe in June 2009 along with a piggyback probe that crashed into a shadowed crater at the moon's south pole in October of that year in a hunt for water ice, which it found. The spacecraft is about the size of a Mini Cooper car, and it's equipped with seven instruments to observe the moon.